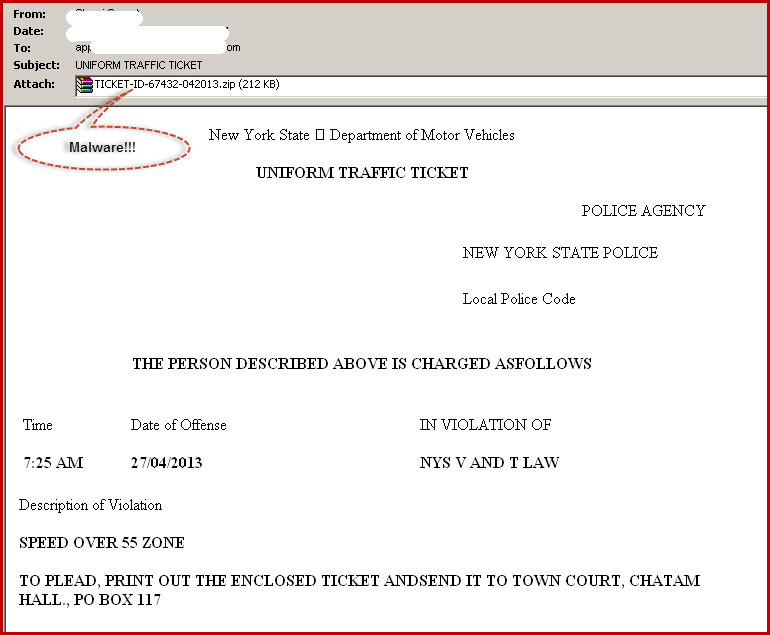 There are currently emails with the subject line “Uniform Traffic Ticket” in circulation that claims to be from the New York State Department of Motor Vehicles. The email in the example below claims the recipient was caught speeding in New York city at a certain time and recipient is charged of committing the violation “speed over 55 zone”. The email states that the victim is charged with a traffic offense and requesting that to print out the attached ticket and send it out to the town court of Chatam at a provided PO BOX. 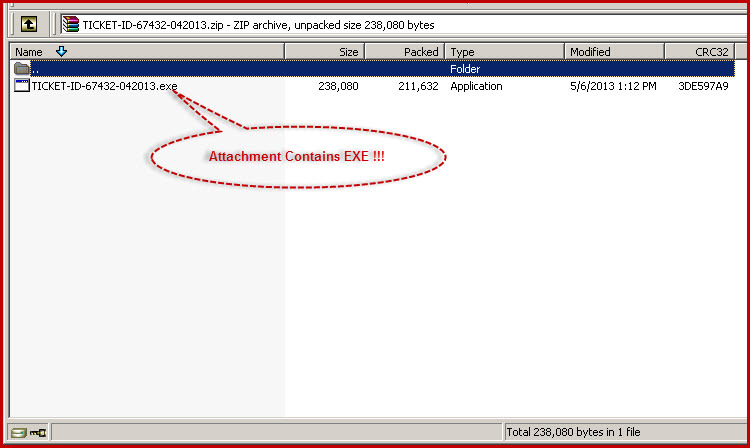 In fact, the zipped file is not a speeding ticket but contains an .exe file which installs a Trojan on the recipient’s computer. The Trojan was identified as being W32.FakeHddRepair and which constantly displays hardware error messages. These fake emails target motorists in New York, there is no reason to think the scammers will stick to New York, as the formula can easily be used for targeting people in other cities, states or districts. Be cautious of any unsolicited email that claims to be from police or a government department and instructs you to open an attached file or follow a link. Such tactics are commonly used by criminals intent on distributing malware or tricking recipients into divulging personal and financial information via phishing scams.